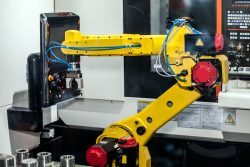 Our machine tending systems from EDM Intelligent Solutions are the perfect way to easily increase the effectiveness of your existing machining centers. 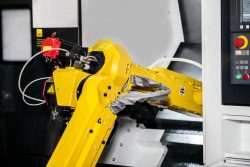 Using a 6-axis robotics system, each one of our machine tending systems makes it easy to achieve peak efficiency by automatically loading and unloading workpieces, as well as cutters, endmills, and electrodes. 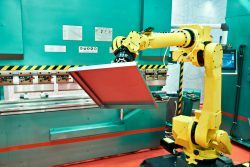 By pairing state of the art robotics engineering with precision manufacturing, we’re able to offer you an industrial automation system made specifically for your business. This particular machining system’s main purpose is to efficiently increase the throughput of your existing machines. Coupled with our standard workpiece and tooling racks, the RLU-M10 can load and unload an endless amount of workpieces.